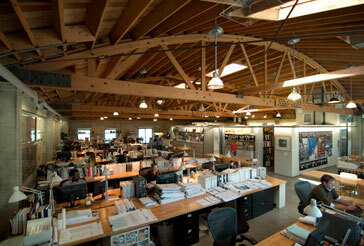 Barton Myers Associates was founded in Toronto in 1975 as a full-service architecture and planning firm. Barton Myers moved to Los Angeles in the early 1980’s to lead a distinguished team of designers in an urban design competition for Bunker Hill in downtown Los Angeles, and to teach at the UCLA Graduate School of Architecture and Urban Planning. Barton Myers Associates is now based in Santa Barbara and is currently working on a broad assortment of commissions for public, private and institutional clients.